Alcohol solution of iodine is in almost any medicine Cabinet. If they are sloppy to use, not only can purepacket hands, but to spill it on clothes or on the floor. This drug is very easily soiled and persistent in the skin it is absorbed deeply, and when scrubbing with a cloth with any surface leaves yellow stains. There are several ways that will help you to wash the iodine. Clean the stain of iodine from clothing special stain removers that are suitable to particular type of underwear. Pour the product on the pollution thing and wash it in the washing machine with the addition of washing powder. You can also use some handy tools. • Moisten the stain of iodine liquid for washing dishes. Holding for 2 hours, wash clothing. • Soak the stained item in water, then grate the pollution slurry of potato starch. Wash thing. • Put the clothes dirty place in a solution of ammonia and water (a few drops on 200 g). Then wash it by hand soap or in the washing machine, laying the small soap flakes directly into the drum. • If iodine is spilled on colored fabric, it can be removed using acetone or denatured alcohol. Dampen a cotton swab in the remedy and wipe the stain, the extent of contamination, changing the cotton wool. Avoid iodine floors and other surfaces. He eats in them, reacts even with many metals. If it happened to wash the iodine with the help of fixer (sodium thiosulfate Na2S2O3). The same one that is used for printing photos. A teaspoon of the chemical will dissolve in a glass of water and apply iodine. A few seconds and it will fade! If you find a fixer in these shops you can't (and you don't have photographers and chemists), try folk remedies. RUB the stain of iodine, half of a potato or a cotton swab dipped in a thick solution of ascorbic acid. The stain of iodine has a high resistance, it is insoluble in water, bring it at home only by using certain chemicals. The faster you deal with the breeding spots, the faster and easier it will be possible to return clothing to its original appearance. The effect of the chemicals on the fabric and the strength of its colouring it is necessary to first test on a spare piece of fabric. If it is not preserved, then near a seam or on the binder side. Fabrics of artificial staple fibers to clean without the sample with acetone, vinegar, alcohol cannot. It is also not recommended to use solutions with too high concentration. Treat the stain from the iodine over with a weak solution of chemical and alternate processing contamination with rinsing in cold water. Before starting to withdraw the spot, swipe the dust off it first dry, then slightly damp brush or sponge. In order to make it easier to withdraw the spot, pull place the contaminated tissue on a glass or mug, dip a cotton swab or soft piece of white natural fabrics in the fluid and gently RUB them a spot. To withdraw stain from clothes is necessary on the reverse side. The stain from the iodine can be effectively removed by available tools:the Stain wet with water and RUB with starch. Repeat this operation until the disappearance of iodine, then rinse the fabric in cold water. If the stain is old, you need to dissolve the starch to liquid porridge and put it in his soiled cloth at night. Then rinse in warm water with detergent. RUB the stain with denatured alcohol or acetone, then wash the fabric in water with detergent and rinse in cold water. Soak the soiled fabric in a solution of ammonia (add in a glass of water a few drops of ammonia, then wash in warm water with detergent and rinse in cold. The stain, pour baking soda, pour vinegar and leave overnight, in the morning rinse the fabric in cold water. Rinse the contaminated area with medical alcohol before until the stain is gone. Then wash the thing in the usual way. Iodine, getting on clothes, leaves a dark brown spots. Unfortunately, contamination of this kind of origin are difficult to eliminate. But do not hurry to part with your favorite thing and send it to the trash or to the country. 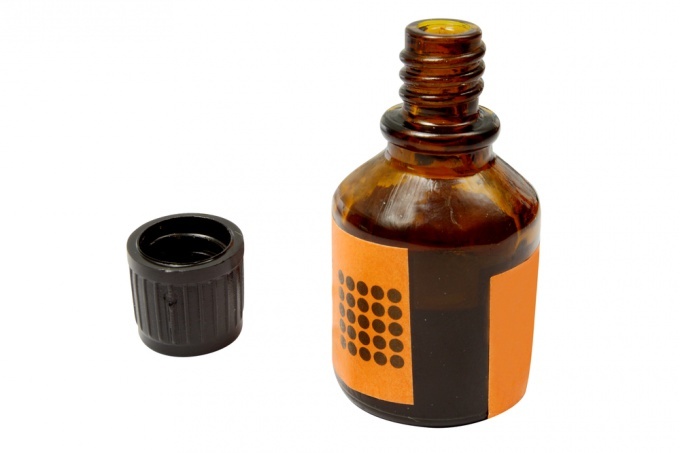 Try to pull the stain from the iodine with the help of improvised means. Vinegar, baking soda, potatoes, hyposulphite of sodium, ammonia, denatured alcohol, stain remover. Print stains from iodine with vinegar and baking soda. Sprinkle the soiled area with baking soda. Then on top, pour a little vinegar and leave overnight. In the morning thoroughly rinse the treated area in clean, running water and wash it with a high active powder. Use potatoes to remove traces of iodine. Clean the tuber is peeled, cut into two pieces and wipe the contaminated area of clothing. Do not worry if the stain will take on a blue hue. This is a natural reaction of starch with iodine. Asterite treated area in warm water with a stain remover and rinse thoroughly. Soak a cotton swab or a disk in hyposulphite of sodium. This means you can buy in the store. Gently treat the contaminated place. When the stain disappears, rinse the cloth in running water and wash it with a high active powder. Before using the hyposulphite, test it on an inconspicuous area of the product. If after 5 minutes changed the color of the material, discard the tool. Spread 1 tablespoon of ammonia in 1 Cup of water. Soak cotton or gauze in the solution and treat the stain from the periphery to the center. Rinse the clothes in clean water. If the first attempt failed to achieve the expected result, repeat the procedure from the beginning. Remove traces of iodine colored cloth with denatured alcohol. Soak a cotton pad in the remedy and Pat the soiled area. 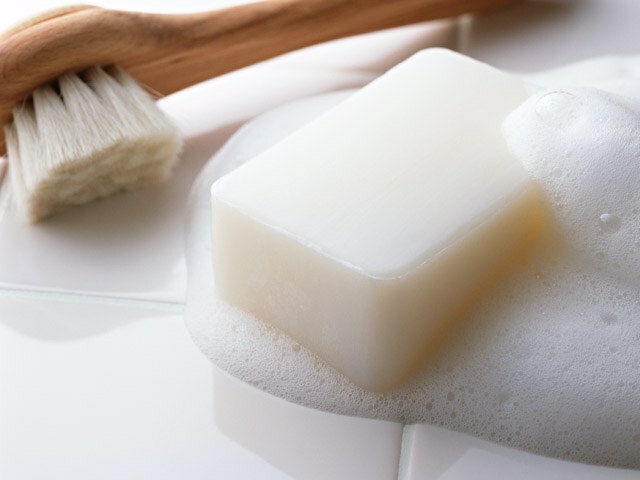 After 10 minutes, wash product in warm soapy water and rinse thoroughly. Remove soiled product on the wrong side. Apply the stain remover first, around the contaminated places. Then gradually move to the middle. This way you will prevent the formation of streaks. Always use a clean cotton swab. To prevent iodine on clothing, tightly close the bottle after use and keep it away from your wardrobe. Get the stain from iodine will be difficult, but you can try to wash it using traditional methods and household chemicals. One of the most famous ways of getting rid of stains of iodine is the use of starch. Liberally sprinkle it on the stain, soaked in cold water. As a result of these actions should go a chemical reaction, as iodine is a starch indicator. When the spot turns blue, rinse it with cold water and then wash with added bleach. Instead of starch you can use raw potatoes. Take one tuber, peel, cut it in half and grate both halves of the contaminated area on the obverse and the reverse side. After the spot turns blue, rinse the item in cold water and wash with a small amount of stain remover. Soak the stain in milk for 10-15 minutes, then rinse several times with cool water with soap, and then wash in the machine, preferably with the addition of stain remover. Get rid of iodine stains by using baking soda and vinegar, if soiled clothes are not made of acetate, triacetate fibers or nylon. Otherwise, the thing is hopelessly flawed. Sprinkle the stain with baking soda on top, pour on it vinegar. After a few hours (at least four) thoroughly rinse the product in cold water, then wash in the usual way. To remove stain from colored fabric will help the acetone, but only if the product is not made of acetate silk. Before using the acetone test reaction tissue at the alternate segment. Then moisten with acetone cotton pad and gently RUB them with a contaminated site, then the clothes need to be washed. A fresh stain from iodine to remove easier than the one that was spotted a few hours later. To bring the old yellow-brown spots, any of the above ways will have to be repeated several times.